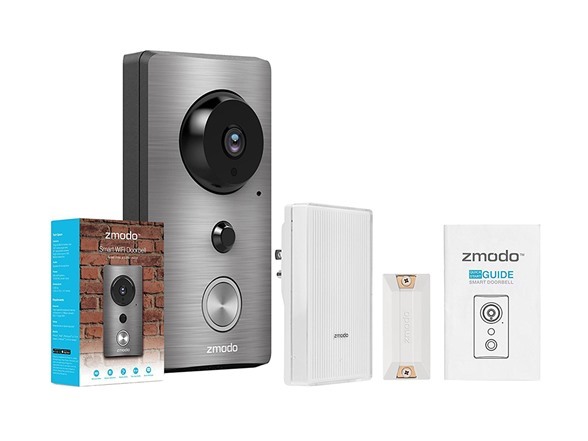 The Zmodo Greet Package includes a Greet WiFi doorbell and a Beam WiFi extender. 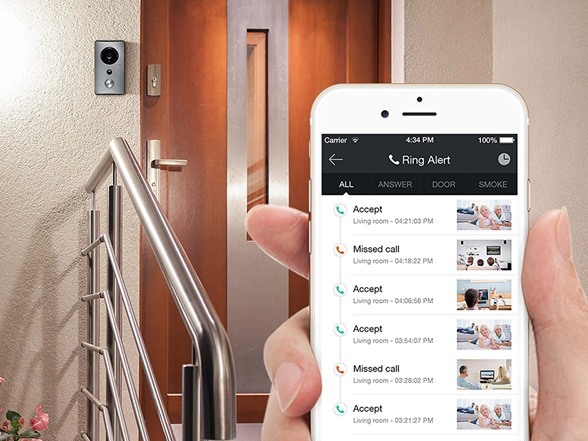 The Greet doorbell remotely connects to your home WiFi and allows you to check who is at the door on your mobile devices. Zmodo Beam is an all-in-one combination WiFi range extender and smart home hub. 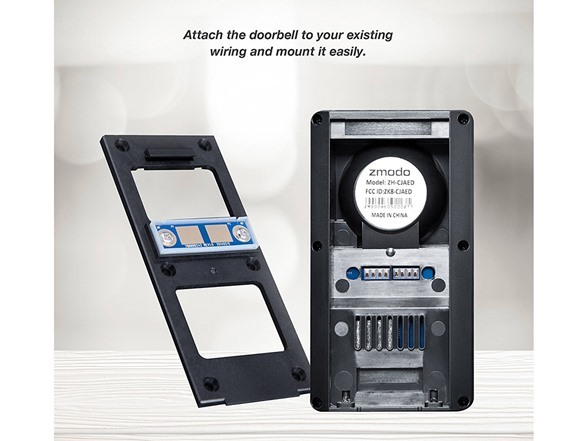 It plugs into your wall socket and is set up easily through the Zmodo mobile app. 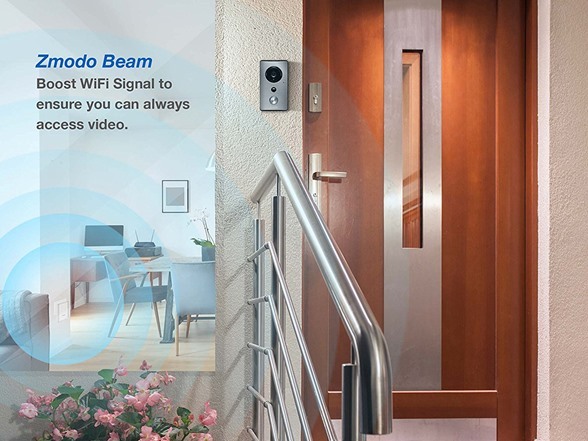 Beam extends WiFi range up to 200m (656ft) and 300Mbps so that your whole home can be covered. Beam also acts as a smart home hub and can connect Zmodo accessories, such as door and window sensors, which alert you on your phone whenever a sensor is triggered. Easy setup - use existing wiring and connect to WiFi using the free Zmodo app. Use Beam to easily set up Greet. With Beam Connect, setup is as simple as telling the app how many devices are powered on and ready to pair. Smart motion detection - receive an alert and a recorded video clip whenever motion is detected. 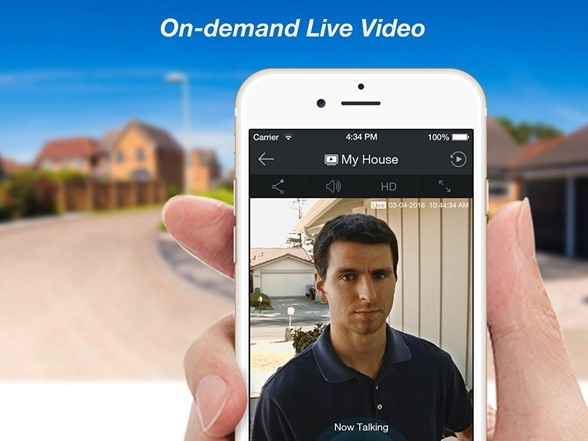 Have access to 720p HD live video at any time from your smartphone or the web. IR Night Vision-Equipped with infrared lights and IR cut, the camera can automatically switch to black and white night vision view when in the dark to ensure you a crystal view. 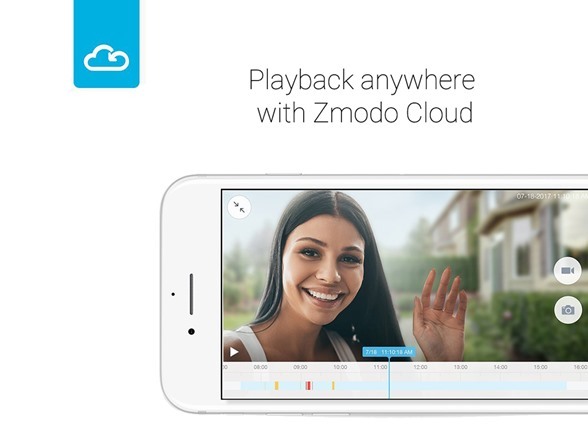 Zmodo Cloud Service - Motion alert clips are saved in the cloud for 36 hours for free. 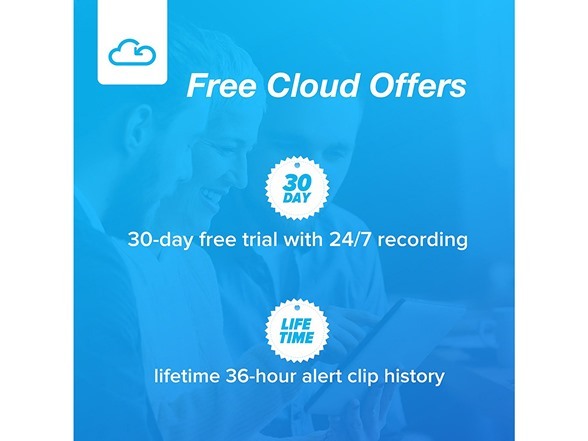 All users are also eligible for a 30-day free trial of our 7 day cloud recording plan. Paid cloud recording plans for storing 24/7 footage are available in 7 and 30 day plans. With the plan, you can review, save, and share footage at any time, and reduce false alerts with cloud intelligence. The 7-Day plan is $4.99/month and the 30-Day plan is $9.99/month. Personalized voice message - a recorded message will play when you can't answer the door. 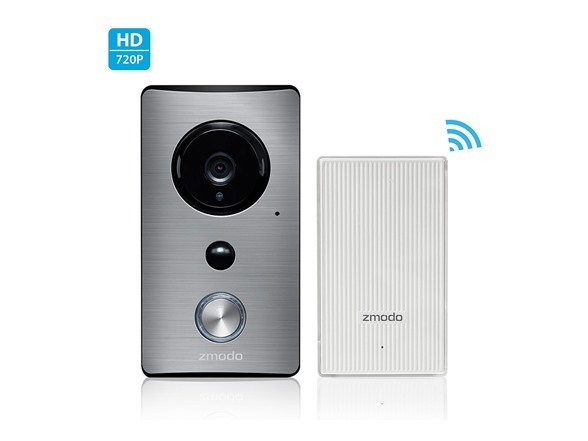 Greet requires the Zmodo app for setup and a password-protected 2.4GHz WiFi network with WPA/WPA2 encryption. 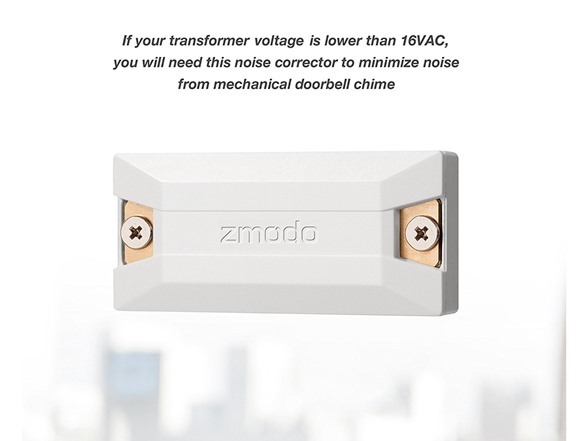 Make sure that your Greet is connected to a mechanical doorbell chime and a transformer with a low-voltage of 10VAC-36VAC. Chime and transformer need to be consistent in voltage. DO NOT directly attach the doorbell to primary power (110/120 VAC and 220/230/240 VAC). If you do not have mechanical chime, you MUST use a 20 ohm/10 watt resistor between the smart doorbell and one wire from the power source. Resistor not included in packaging. Size: 4.92" x 2.36" x 0.98"